Internet has rather involved into a whole world inside the computer environment. Hence, a lot of people spend their time on the internet. Because of this, advertising industry has grown very large on the internet. It has reached to such an extent that advertisers are willing to pay the audience to look at ads. Therefore, it can become a way to earn money online. As we already shared many ways to make money online. From then like we can earn money on short links just by promoting then anywhere. But in that ways. Most easy and best way to join PTC sites. PTC or paid to click are rather simple websites that pay you to look at ads or complete simple tasks related to advertising. This method is popular because it doesn’t involve any work skills. All you have to do is open ads, complete provided task and earn easy bucks. But the main problem is there are many fake and fraud PTC sites on the internet. Hence, to help you earn money from PTC sites, we have carefully selected the Best PTC sites that pay and offer good rates. You can trust these and earn extra money rather easily. Best (Paid To Click) PTC Sites List. How To Earn Money From PTC Sites. ? Clicksense is one of largest paid to click platform established in 2007 which provides you chance to earn extra money. They offer various task from which user can easily earn cash. These include visiting websites, complete easy surveys, free offers to complete, micro tasks, playing clickgrid, by participating in contest. Besides from all these they also provide money if we shop online through them. They offers different rates for Standard and Premium users. Minimum Payout:- $6 For Premium, $8 For Standard User Via Paypal, Payza, Wire Transfer. Neobux is another best platform in all PTC Sites. 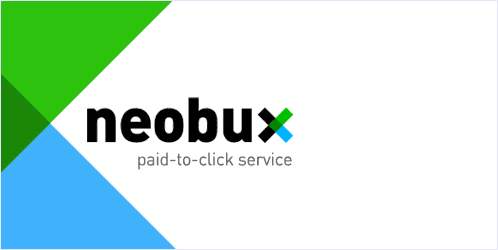 In case you are not satisfied with other PTC services then you can try neobux. They also offer good rates and having various different ads on bases fixed and exposure system, they also provides other tasks to earn money and provides details statistics for each and every click. They update latest ads on daily bases for better opportunities you can also upgrade your account from standard to Golden. Payment Method:- Paypal, Payza, Skrill. Buxp is another platform in all best PTC sites which provides almost same functionality like above platforms. Advertisers & Publishers both can participate. 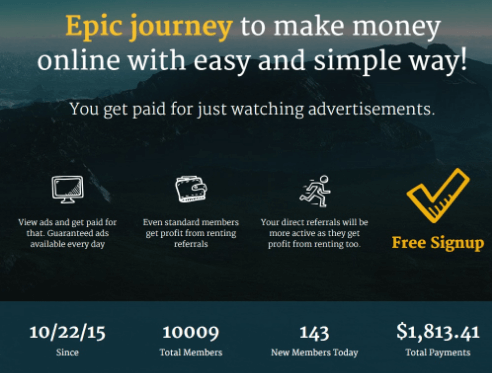 As member we can earn money by visiting websites, view videos, completing offers and surveys and many more tasks. In short join as member and complete provided tasks and start earning. For advance features and extra earning we need to upgrade account premium. Minimum Payout:- $7 via Paypal, Payza. Another amazing pay to click site. Both Advertiser and earning member can be part of this platform. We can earn upto $0.01 per click. Having Details statistics. We can earn money by viewing ads and completing other task. Account upgrade facility is also there. Minimum Payout:- $2 via Paypal and Payza. Gptplanet is another famous paid to click platform. Almost similar like others we can join as advertiser or earner. They provide various offers to make money. We can view ads, participate in PTCWall, GPTGRID and other tasks for earning. We can also upgrade our account from unlock earning abilities. They have 4 level accounts like Standard, Silver, Gold, Gold Plus. Minimum Payout:- $1 via Paypal, Payza, Perfect Money. Clixblue is good choice in all Best PTC Sites. They provides various option from which user can easily earn. We can complete task, views ads, different wall and many other listed ways to earn money by viewing ads. We can also upgrade account for unlock achievements. There are four different levels Standard, Blue World, Blue Sky, Blue Ultimate. Minimum Payout:- $5 via Payza, Payeer, Bitcoin. Expresspaid is another platform in list of Best PTC Sites which provides same functionality like others. Interface is simple and easy to understand. We just to need to create account start viewing ads and other perform other activities and start earning. They also provide upgrade feature to access benefits. They account upgrading system having 7 levels like Standard, Professional, Express plus, Super express, Super Pro, Executive, Express Grand which you can check on official site. Minimum Payout:- $5 via Payza, OkPay. 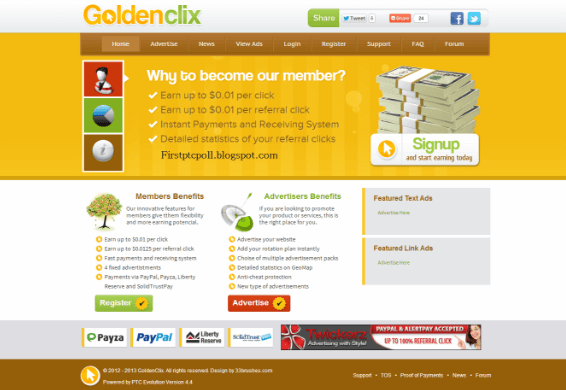 Goldenclix another growing as PTC Sites. They offer good commission rates for completing various tasks. We can view ads, participate in contests, Buy and Rent referrals. Almost having all the features as in other big PTC networks has. They also provide instant payment feature. We can also upgrade account to boost earnings. Minimum Payout:- First Payout $5 and then $2 via Payza, Payeer, Bitcoin. 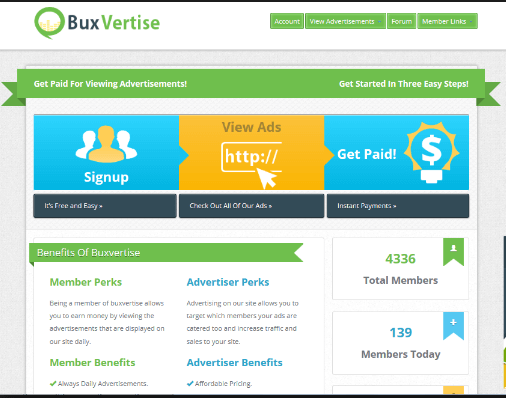 Buxvertise is another quiet impressive platform in all Best PTC Sites. We can join as Member and Advertiser. They provide various features to earn cash like view ads, CPA Lead, Offer Wall, Icon Cash, Grid and Referring and many more. We think they have good amount of task from where user can earn good bucks. They also have 3 different Account upgrading levels including member, Buxer, Enternity with amazing options. Minimum Payout:- $7 Via Paypal, Payza, Payeer. Eldibux is another option to earn extra cash along with other PTC networks. Similar functionality with attractive interface. Almost having all those require offers like view ads, buy and rend referrer. We can also upgrade our account from free to part time, full time or businessman. Minimum Payout:- $1 via Paypal, Payza, Bitcoin. 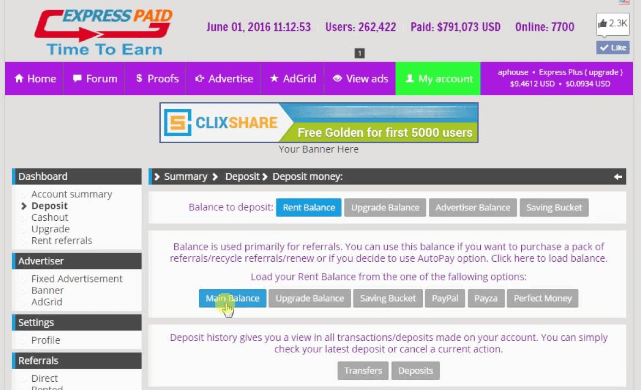 Clixten is another amazing site which provides Paid to click ads and other promotional offers or task to earn money. We can join as member and advertiser. After joining the only thing which we have to do is view ads and complete providing task and get cash. Account upgrading feature is also there exactly like others. Minimum Payout:- $2 via Payza, Bitcoin, Payeer. Another amazing PTC platform with impressive interface and statistical features. Both Earner and advertiser can be part of this ptc service. We can easily earn by viewing ads, Offer Wall and completing task similarly like other. Account upgrading and buy rent referral feature is also there. Minimum Payout:- $4 via Payza and Bitcoin. Familyclix another good option to earn extra cash from PTC Sites. Almost having all similar features like viewing ads, completing tasks, Paid To Survey and many more other available under earn money tab. Account upgrading and buy or sell referral option is also there. Minimum Payout:- $2 via Payza, Payeer, Bitcoin. Btcclicks is specific platform only for earn bitcoin from paid to click service. We have surf ads and complete other task as similar as we do in other ptc platforms. But on this platform we will earn mBTC point. Minimum Payout:- 0.10000 mBTC via Bitcoin. 1. Sign up on PTC Sites given one by one and verify account details. 2. 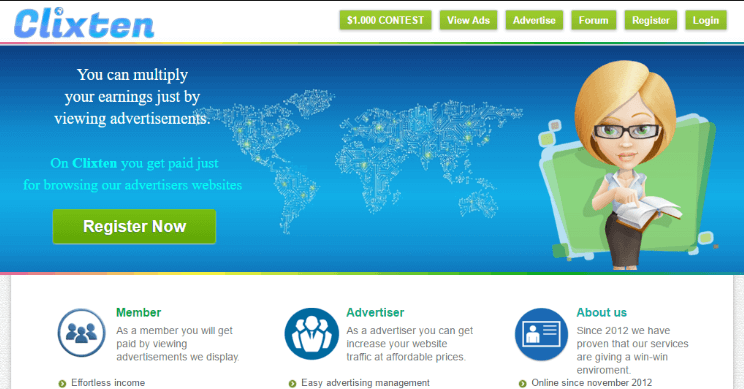 Then Visit to View ads, offers or earn money tabs which are available on sidebar or main menu. Then open providing task one by one and complete them. The more time you spend on the site, you will get more money. 3. Once your total outstanding payment crosses the minimum limit, Setup PayPal, Payza or any other account. This is where you will receive money from PTC sites. 4. Now you can redeem your payment from withdraw or cashout option to select payment method. In conclusion, PTC sites are a great way to earn some extra money online. For any help or query, feel free to ask us in comments below.